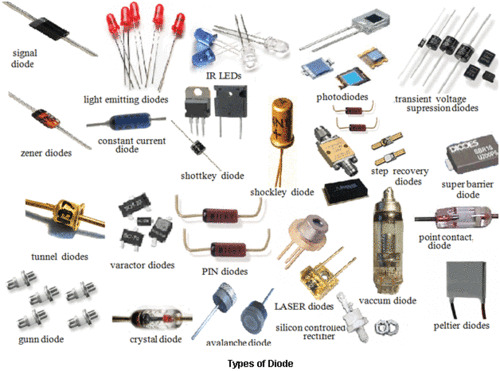 Diodes are the simplest two-terminal unilateral semiconductor device. It allows current to flow only in one direction and blocks the current that flows in the opposite direction. Pearl Electronics is a leading Manufacturer, supplier and Importer/Exporter of Diodes in Oman, Abu Dhabi, Mascot, Indonesia, Pan India. It is available in stud type, flat round base and flat square base. If the voltage across a diode is negative then no current can flow, and the ideal diode looks like an open circuit. In such a situation, the diode is said to be off or reverse biased. 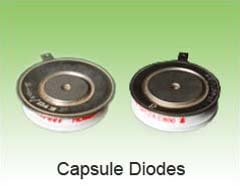 We deal with Diodes in Oman, Abu Dhabi, Mascot, Indonesia, Pan India. A Diode is the simplest two-terminal unilateral semiconductor device. It allows current to flow only in one direction and blocks the current that flows in the opposite direction. Available in stud type, flat round base and flat square base. Diodes can be subdivided into two main classes: Rectifier Diodes and Fast Diodes. 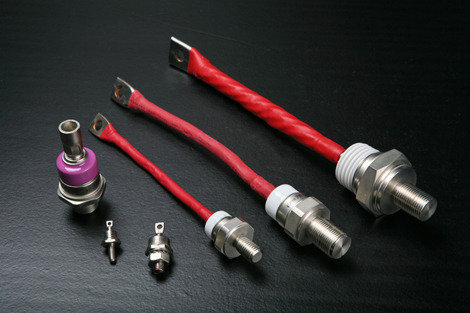 Rectifier Diodes are split into two subclasses: Normal Recovery Diodes and Avalanche Diodes. Rectifier Diodes are generally used for conversion of AC (alternating current) to DC (direct current). Normal Recovery Diodes are optimized with respect to low conduction losses and are able to handle very large currents. Diodes can be subdivided into two main classes: Rectifier Diodes(Standard Recovery) and Fast Diodes. Rectifier Diodes are generally used for conversion of AC (alternating current) to DC (direct current). While optimized for low conduction losses, Rectifier Diodes withstand only moderate dynamic stress in transition from conducting to the blocking state. Fast Diodes, on the other hand, are companion devices to switches in DC to AC conversion. Every switch (GTO, IGCT or IGBT) requires a complementary diode (e.g. for "free-wheeling" reactive power) in order to enable operation of the DC-AC conversion system with inductive loads.